Michael Rice has been chosen as the UK representative at this year’s Eurovision Song Contestant. Rice won the BBC talent show All Together Now last year, and also appeared on The X Factor in 2014. He was voted for by a TV viewers’ vote on Friday. He will represent the UK at the contest when he travels to Israel in May and performs his song, ‘Bigger Than Us’. Rice insists he has a chance of winning, saying his song is dedicated to his late father. 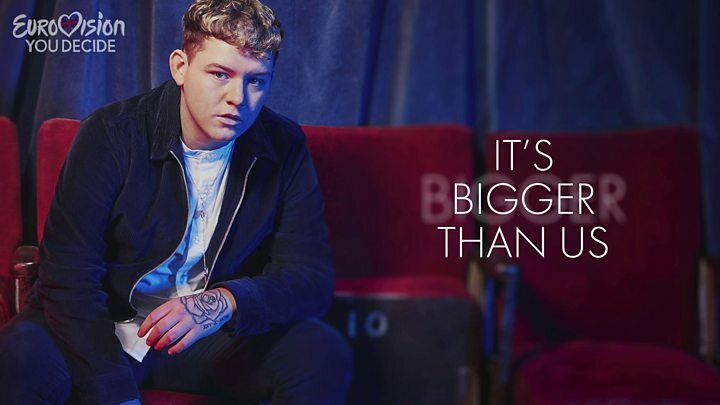 ‘Bigger Than Us’ is a ballad, and Rice says that: “the song’s got a big message” and he “can’t wait to perform it and show the rest of the world what the song’s all about.” Rice has also just finished his first EP and hopes to release an album after Eurovision. The UK has not won the Eurovision Song Contest for 22 years and has not finished in the top 10 in the past decade. The final of the contest takes place on 18th May this year in Tel Aviv.